Notice: twenty of twenty-one below the state average. 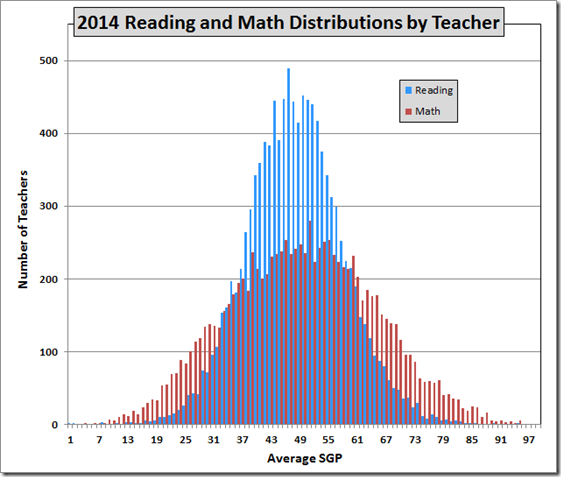 Beyond that, how would you like to have your kid in the hands of that teacher whose students performed in the 13th percentile? 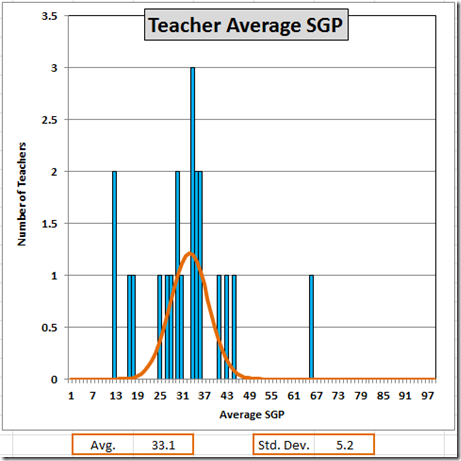 SGPs must be calculated each year, and the calculations cannot be prepared until all statewide data are available. This requirement has resulted in growth information not being available to school districts until the early fall of the next school year. And we know they are not stupid. We can speculate about the reasons for this mendacious change of course. My own guess is political pressure from the teachers. 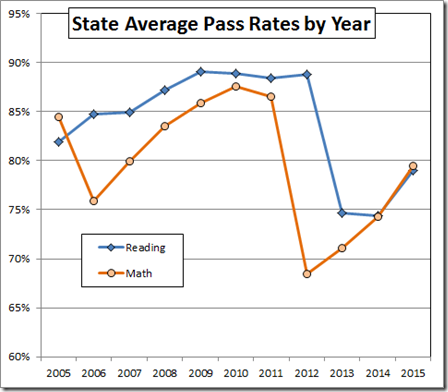 the accreditation numbers plunged, despite VDOE’s elaborate manipulation of the data. The Board of Education shall promulgate regulations establishing additional accreditation ratings that recognize the progress of schools that do not meet accreditation benchmarks but have significantly improved their pass rates, are within specified ranges of benchmarks, or have demonstrated significant growth for the majority of their students. The Board shall implement such regulations no later than the 2016-2017 school year. Consonant with these mandates, the new Progress Table process provides a mechanism to reward improved SOL scores and neglect declining scores. In the current calculation of the accreditation pass rate, a passing student counts as “one passer” in the numerator of the pass rate. In order to account for students working toward demonstrating proficiency, partial credit could be awarded for sub-level growth. Note, partial credit for sub-level growth but no penalty for sub-level decline! But, until they take away the SOL database, we’ll have the ability to calculate real progress by subject and grade for each division and school. Stay tuned for an example.